More and more videographers are choosing to ditch the heavy cinema rig and starting to use DSLRs for their film projects instead. The choice makes sense. Many DSLRs currently on the market are packed with features that used to be exclusive to cinema-quality models. Our investigation of the market revealed that there are a host of excellent DSLRs available to today’s videographers, and Photophique’s absolute favorite was the Canon 5D Mark III. This highly advanced, professional-quality camera has one of the market’s most established reputations for good reason. It’s a bargain at any price. If you know your way around the DSLR market, then you probably aren’t surprised that this renowned powerhouse from Canon topped our list of videography cameras. When it was released, professional photographers and videographers were unsure if the Mark III could possibly surpass the incredible performance delivered by its predecessor, the Mark II. They quickly found that it could. The Mark III produces photos and videos that burst with lush, colorful detail. It also features a range of advanced video-recording features that filmmakers will find handy—all for far less than you can expect to shell out for a professional cinema rig. Pair this beauty with a DSLR video tripod, and you have one monster of a video recording setup. If you’re a Nikon devotee, there’s an equally stellar model to add to your videography rig. The D810 has proven itself a worthy contender in the video DSLR market over the last few years. The D810 makes getting the perfect shot easier than ever before, with a huge sensor and variety of video-friendly features that put it on par with cinema cameras. Though it’s on the higher end of the price spectrum, the D810 rarely disappoints even when shooting in difficult scenarios. Overall, the D810 surprised us with its ability to combine colossal image processing capabilities with all the usability of its lower-end models. 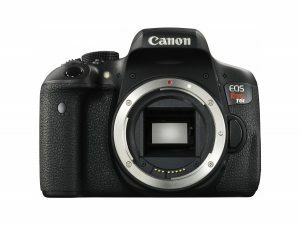 Canon also offers this fantastic mid-range model, which works perfectly for the videographer on a budget. An ergonomically-designed body and a new sensor and processor combine to make a preeminently usable device. It’s also pleasantly tech-savvy without being a frustration, utilizing a combination of a responsive touchscreen and traditional manual controls for a great user experience. Plus, it’s actually one of the most affordable cameras in its class right now. You can’t miss out on this deal! With the huge leaps that image processing has made in the last few decades, most DSLR users will find that even a mid-range model suits their needs. Seasoned videographers, however, might desire more advanced features from their camera. Cameras that run at a higher price point usually start with a heavier-duty sensor and processor, giving you more pixels and speed with which to work. They usually pair those features with a greatly expanded dynamic range, sometimes reaching into territory normally reserved for cinema cameras. Videographers can also expect a better video quality, since some newer DSLRs now offer crystal-clear 4K recording. In recent years, more expensive DSLRs have also acquired an impressive range of videography features, incorporating zebra striping, auto-ISO adjustments, and a variety of inputs and outputs to support all your gear. In this section, you’ll find a fuller explanation of each camera’s specs. We’ll examine elements such as size and weight, resolution, autofocus, technical features, build quality, and ease of use. 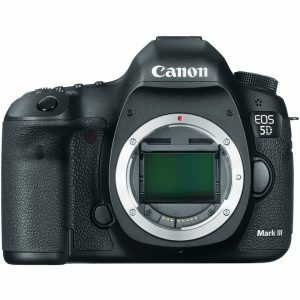 See the Canon 5D Mark IIIThe Mark III is iconic among photographers as a phenomenal piece of workmanship, but it delivers amazing video results as well. Our ultimate test of a great DSLR video camera is the footage that it can produce. And if you’ve ever seen video filmed on the 5D Mark III, you won’t be surprised that it’s topped our list. It’s also a home run for videographers, with two memory card slots and a rock-solid autofocus system that grabs onto every subject. It comes at a considerable price, but every dollar of that investment gives you a camera that will turn out consistently lush, detailed footage in almost every conceivable shooting situation. Reviewers had great things to say about Mark III’s robust, high-quality construction and gorgeous LCD touchscreen. They were also consistently impressed with the camera’s quick new autofocus system, and reported that it performed capably in low-light scenarios. 2The Mark III also scores highly for usability, with users reporting high satisfaction with its intuitive operating system and grippable streamlined body. The Mark III’s fully redesigned exterior features chunky, durable manual controls and a lightweight and ergonomic body. A stellar DIGIC+ processor and 22 MP CMOS sensor, along with new industry-standard video-recording protocols, deliver silky smooth 1080p video. A 61-point high density autofocus system handles even fast-moving action subjects with ease, while a 3–inch LCD screen lets you pinpoint any area of focus. The extended ISO range, which runs from 100 to 25600, makes the Mark III an ideal camera for wedding and sports photographers who need a reliable companion in difficult shooting situations. Several reviewers were disappointed with the Mark III’s price tag, noting that comparable models could be purchased at a similar price. It’s also known for producing a few image quality issues, including occasional hot pixels and mild vertical banding. The Mark III is a considerable investment, running just under $2500, but its standard-setting quality stands it head and shoulders above cameras that cost just a few hundred less. Plus, the Mark III has proven itself to be a durable product that plugs on dependably for years. You’ll get years of excellent performance from the initial purchase. The earlier Mark II had a less advanced sensor and slower processor, so the Mark III is a much better choice in terms of video quality. It’s also ramped up the dynamic range, megapixels, and feature set to give you crisper, punchier footage all around. And it’s faster and lighter, too! See the Nikon D810Nikon users, don’t despair—there’s a camera just as fantastic for you as well! The Nikon D810 has been around for a few years now, but in our opinion it’s still, hands-down, Nikon’s best full-frame camera with video capabilities. We love the D810’s robust, sturdy frame and powerful technological specifications, which together lend the camera perfectly to the needs of field videographers. Reviewers routinely rave about the D810’s incredible image quality, in both stills and video. Its redesigned body and practical feature set has also earned sparkling praise, with many users reporting great satisfaction with its bright LCD screen, graspable body, and quiet shutter. They also have great things to say about the D810’s performance in the field, impressed by its nimble processing power and rugged weather-resistance. First off, the D810 features a completely redesigned body, with a responsive 3-inch LCD touchscreen, ergonomic construction, and vibration reduction. A stunning new 36 MP sensor, coupled with Nikon’s speedy EXPEED processing system, achieves crisp detail and rich, noiseless colors. An expanded dynamic range delivers fantastic images from ISO 64 to 12,800. And that incredible image quality extends seamlessly into video. ISO auto-adjust and a 51-point, consistently adjustable autofocus system ensure that you’ll get stellar footage all the time. Gorgeous 1080p, 60 fps footage automatically compresses to your storage device, so you won’t need to spend time fiddling with file sizes in the field. In terms of operation speed, build quality, and superior performance, the D180 is a true videographer’s DSLR. This kind of performance doesn’t come cheaply, and the D810 body is still sitting near $3000 several years after its release. A few users reported frustration with the camera’s live view focusing mechanism, which could present issues while shooting video. It also lacks Wi-Fi transfer capabilities, a useful feature that’s becoming standard on more recent models, and doesn’t shoot in 4K. In terms of price, the D810 comes in on the higher end of Nikon’s DSLR range and of the cameras on this list. However, this is a DSLR that has been specifically designed to meet the needs of videographers, and the footage it produces speaks for itself. The D810 might look pricy, even when compared to some of Nikon’s lower offerings, but the features specifically tailored to video production are well worth the extra investment. 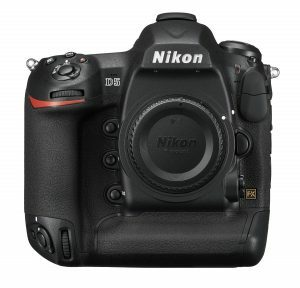 The D810 has charted a few notable improvements over its nearest predecessor, the Nikon D800. It’s more usable, with a richer LCD screen, a quieter shutter mechanism, and longer battery life. Particularly crucial is the D810’s completely redesigned sensor, which has eliminated the optical low-pass filter and expanded the dynamic range, and the faster EXPEED processor. Of interest to filmmakers are some of the D810’s newer video capabilities: 60 fps recording, smooth auto-adjusting ISO (forget too-dark shots! ), and simultaneous recording to memory devices. 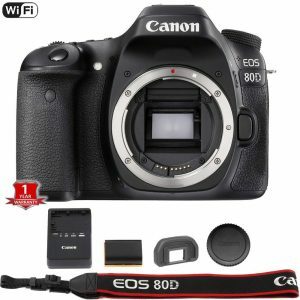 See the Canon 80DIf you’re but not ready to commit to the hefty price tag on the Mark III, Canon has another stellar option for you: the dependable, well-built 80D. This model has been a favorite among both photographers and videographers for a while now, and for good reason. It’s an imaging powerhouse with excellent build quality. The 80D’s new CMOS sensor represents a huge step forward for Canon in terms of clarity and richness, while its dual pixel autofocus system tracks even the quickest of subjects. Rugged yet sophisticated, the 80D features an easy-to-grip polycarbonate body and an articulating touchscreen that’s packed with high-end features. It’s also a fantastic value, delivering results that could only be expected from a cinema-level camera just a few short years ago. Professionals and hobbyists alike routinely rave about the 80D’s incredible sensor, reporting that it brings out the lush details and colors of any scene with ease. The 80D’s build quality also garnered high praise, with many reviewers praising its sturdy body and responsive, satisfying manual controls. Response to the 80D’s touch-focus has also been positive. Users report that the system tracks subjects smoothly and responds to touch commands with minimal effort. By far, the 80D’s best feature is its robust image processing system. A 24. 2 MP CMOS sensor, coupled with an advanced DIGIC 6 processor team up to deliver sensitive, rich detail. With an expanded ISO range that stretches to 25600, you’ll be able to shoot in every kind of low-light situation without worrying about excess grain or color dilution. Locking the perfect shot into place is a breeze too, thanks to a 45-point autofocus system that can handle 60fps and a mirror vibration control system to reduce blur. It’s tech-savvy too, with built in Wi-Fi and a responsive touchscreen that displays your shots in crisp high definition. In addition, the standard kit includes a range of handy tools and gadgets, including a 3-part UV filter kit, slave flash, tripod, and a hefty accessory backpack to haul around your gear. 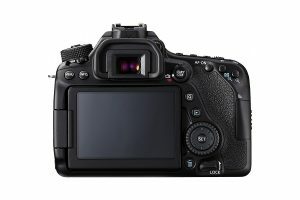 Several reviewers of the 80D have been less than satisfied with its autofocus system, reporting that it operates slowly at times. It also doesn’t feature 4K video recording, which may be a deal-breaker for pros. Like most other systems of its kind, the Wi-Fi integration hasn’t been perfected and can sometimes be difficult to wrangle. If you’re looking to shoot gorgeous, standard-setting 1080p video without shelling out for a full-blown cinema rig, then this is the best buy you can make today. In fact, the 80D’s closest relative within the Canon family is the EOS 7D Mark II, a much pricier and professionally-aimed model. So if you’re looking for a modestly-priced camera that can still hold its own against the top performers, you won’t find a much better option than the 80D. The most significant feature that’s been added to the 80D is its new sensor and autofocus system, which produce even more dazzling shots. It’s supported by a whole host of newly redesigned features, such as an expanded viewfinder and an autofocus system that adjusts depending on the 80D compatible lens used. See the Sony A77IISony has managed to break the Canon-Nikon dynasty in recent years, and the A77 II is one of their best showings. The A77 has made headlines for its superb image quality ,tech-savvy feature set, and reasonable price point. It’s definitely worth a look if you’re willing to invest in an up-and-coming system! Those who review the A77 routinely praise its lightweight yet weather-resistant magnesium body, swift live view system, and Steady-Shot stabilization. It’s also earned high praise for its intuitive and customizable operating system, a welcome change in a world of often-clunky menus and controls. A sophisticated 24 MP sensor delivers superb detail and color richness, and Sony’s proprietary BIONZ X processor and 79-point autofocus system put out beautiful images at a clip. It’s also surprisingly tech-friendly, with built in Wi-Fi for sharing, a high-resolution OLED viewfinder, and 1080p HD video capabilities that will simply blow you away. You’ll hear the A77’s sophisticated multi-zone autofocus touted, but don’t expect it to come in handy when shooting video; it’s clunky and doesn’t shift well from scene to scene. 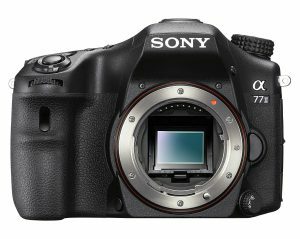 Since Sony’s system isn’t as developed as the industry’s bigger players, you probably won’t find a range of lenses to fit the A77 that’s comparable to what you could fit to a Canon or Nikon model. See the Nikon D5Ready to make a larger investment in a videography powerhouse? Meet Nikon’s biggest player in the world of DSLR videography: the D5. This camera missed out on our top three list because of its hefty price tag, but it’s one of the savviest purchases that aspiring filmmakers can buy. It feels like shooting on a cinema camera—and a much more expensive one, at that. Reviewers love the D5, and particularly praise its performance in low-light and action scenes where other cameras often fail. It earned high marks for its autofocus system, with several reviewers humorously commenting that they found it difficult to work to trick the D5 into “missing” the subject. The D5’s stunning EXPEED 5 processor, 20 MP sensor with dedicated autofocus processor, and native ISO range that stretches to 102,400 deliver astonishing 4K video at lighting-fast speeds. Videographers will love the D5’s specifically film-tailored qualities, such as simultaneous external and internal recording, zebra striping, and auto-ISO adjustment to move smoothly from scene to scene. While it’s an incredible value for the included features, the D5 is still a huge investment that might be out of reach for many DSLR videographers. It’s a heavy rig, weighing in at a whopping 49 ounces. Simply put, no one’s going to mistake this for a spy camera. A few reviewers also report that images taken at a low ISO suffer from minor luminance issues. See the Canon EOS 6DHere’s another entry from Canon’s ever-popular EOS line. The 6D admirably negotiates its spot as a mid-level model, blending the exceptional sensor of Canon’s higher-end cameras with a range of sensible tech features — and a great price. A majority of reviewers loved the 6D, responding positively to its compact portable frame, handy built-in Wi-Fi, and new auto-ISO function. Videographers report that the 6D produces deep, detailed images, though they were disappointed with some of its usability flaws. With a 20 MP CMOS sensor and 11-point autofocus, the 6D produces clear, noiseless footage without sacrificing speed or precision. You’ll get a great view of all your shots on the 3-inch LCD screen, while the auto-ISO capabilities make video transitions a breeze. 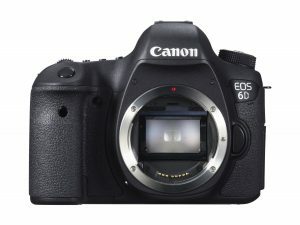 Several strong Canon 6D lens options are available, and have come down in price in recent years. The 6D has a much smaller dynamic range than many of the cameras on this list, so if you frequently shoot in low-light situations then it probably isn’t ideal for you. Plus, there are no manual focusing controls for video shooting, which sets it far behind the 5D Mark III in terms of usability. 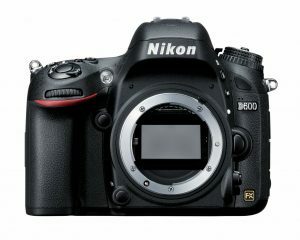 See the Nikon D600The D600 is a hidden gem among budget full-frame DSLRs, especially for videographers. It handles low-light and action scenes with aplomb, but never sacrifices that crystal-clear image quality! Reviewers were quite impressed with the D600’s ease of use in the field. Its streamlined body, speedy autofocus, and sensible price point make it a fantastic choice for the on-the-go amateur. In particular, users who shot video had high praise for this model’s color matrix metering, which reads the scene’s lighting and automatically meters for ISO and white balance. The D600 is one of Nikon’s most compact bodies, but that doesn’t slow it down. A 24 MP sensor and EXPEED processor deliver great detail from 100 to 25,600 ISO. Of particular importance to videographers is the D600’s speedy autofocus system, which works fulltime to produce razor-sharp images no matter the situation. Unfortunately, several reviewers noted built quality issues with the D600 that don’t tend to show up on Nikon’s higher-end models. It also has a much more restricted dynamic range than many of the other models on this list. See the Nikon D7000Looking for a budget-friendly model that doesn’t skimp on quality or leave you feeling like you’re using a cheap piece of equipment? 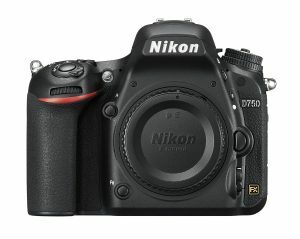 The savvy Nikon D7000 might be just the camera you’re looking for. 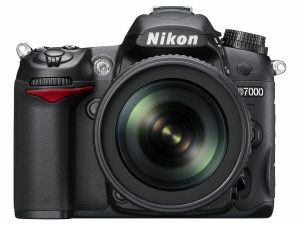 Reviewers frequently commented that they were surprised by the D7000’s user-friendly design and sparkling image quality. They particularly appreciated its speedy autofocus capabilities, excellent battery life, and rugged build quality, saying that it makes a great field companion. Coming in at under $500, the D7000 is easy on the wallet—but it’s certainly no slacker. A 16 MP CMOS sensor with high-pixel, 3D color matrix technology brings out the vibrancy in all your footage. Though you can’t argue with the price, the D7000 is one of the less capable entries on this list. It doesn’t have a lot of the features—like auto-exposure or powerful processors—that make video easy. It’s also heavy, and doesn’t compress videos as effectively as higher-priced models. See the Canon T6iOne of the best—and most overlooked—Canon models out there, the compact, lovely little T6i has made a name for itself in the DSLR video community. Reviewers love the T6i’s intuitive touchscreen and advanced tech capabilities, sharing that they found them useful rather than intrusive. 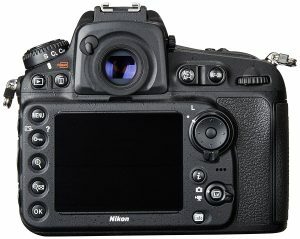 They were also satisfied with the image and video quality, and indicated that this was an excellent mid-range DSLR for photographers and videographers alike. A highly capable 25 MP CMOS sensor, fast DIGIC 6 processor, and 19-point autofocus system make sure that your footage is always crisp and rich. The T6i is also refreshingly tech-accessible, with Wi-Fi connectivity and Near Field Communication systems for sharing photos easily, remote operation from your smartphone, and wireless printing. The T6i doesn’t have the same huge dynamic range as many of the entries on this list, and its auto-noise reduction doesn’t always make up the difference. Additionally, there is no audio output, which makes previewing audio files difficult. See the Nikon D750Last—but certainly not least—on our list is the Nikon D750, a great choice with a range of compatible lenses for the budding videographer who wants to beef up their technical skills. A majority of reviewers loved the D750’s satisfying manual operation, speedy focusing, and razor-sharp image quality. They were also big fans of its articulated LCD display, which they reported comes in handy when shooting fast-paced situations or changing settings on the fly. The D750’s 51- point autofocus system is one of the most nimble out there, and additional features like simultaneously recording compressed and noncompressed 1080 video and zebra striping specifically tailor to the needs of videographers. If you’re a fan of manual controls, you can toggle the ISO and exposure. And if you prefer a more hands-off approach, then the dual Auto ISO and Power Iris systems enable seamless transitions from scene to scene. However, a few reviewers took issue with the D750’s autofocus system, which on average runs slower than some of Nikon’s heftier models. 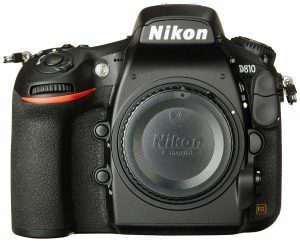 Its smaller body also sometimes struggles to support larger Nikon DSLR lenses, which may pose an issue for video rigs. 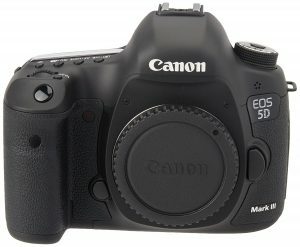 All in all, we think that the Canon 5D Mark III is the best choice for the videographer who wants superb performance, superior build quality, and optimum usability. If you’re invested in the Nikon system or the 5D just isn’t a good fit, then check out the D810. It’s a stunning piece of equipment with specs far above what you’d expect at its price point. Filmmakers who are in the market for a less expensive camera can always fall back on the high-performing Canon 80D, which consistently impressed us with its ease of use and beautiful image quality. Hopefully this buying guide has helped you determine which video DSLR might best suit your needs!